Baan Smile Hostel is at the main spot of Koh Samui â€œChaweng Beachâ€ that you can go to anywhere easily. Cross the street, you can see the beach and it just takes you five minutes by walk to the centre. There are plenty of local restaurants, international restaurants, shopping place, and night clubs around. 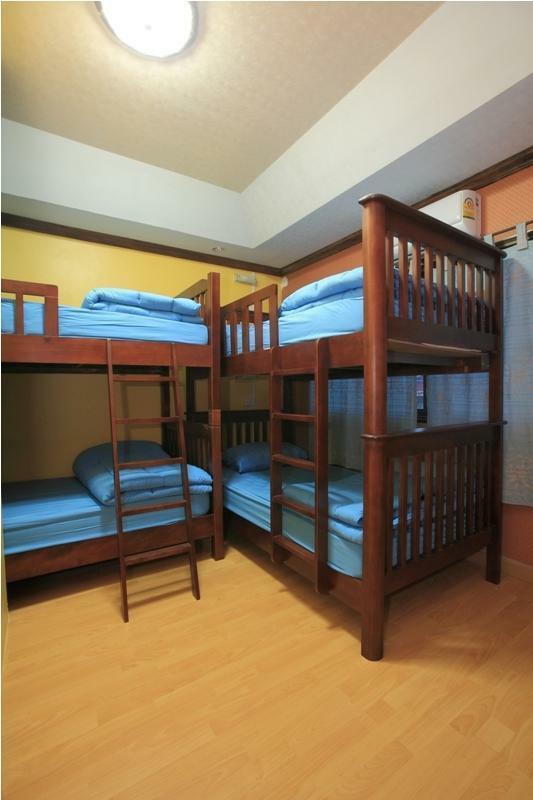 Choose 4 bunk beds in each room with air condition and privacy locker that you can keep your belongings safety. Moreover, another choice for whom that want to get more private, we also have double bed room for 2 persons serving a nice bathroom with bathtub that you can be more relaxing. Take an easy day at our living room at the top floor for your relaxing, watching favorite channel with LCD â€œ32â€ and hang out with friends. Make your pleasant staying as â€œhome sweet homeâ€ with our friendly staffs, new cleaned room and cosy bunk bed. We are at the Chaweng beach road, opposite with Chalala Hotel and 200 meters to Samui International Hospital from Samui airport.